The FAA is the agency that has for the past 30 years taught airline crews and the flying public that hijackers aren't life threatening. Thus the crews and passengers complied with all terrorist demands on American flight 77, American flight 11 and United flight 93. Those on United flight 175 knew their fate due to what had befallen those other ill-fated flights. So they fought back. President Bush has called them heroes. The FAA's regulations are based on hindsight, not foresight. Those 19 terrorists did not appear to violate security regulations. They just took advantage of the mindset that was prevalent on all United States airline flights: do as you are told because suicide is unthinkable. Yet, months before, the Director of the CIA, George Tenet, testified before the United States Senate saying, "Osama bin Laden and his global network of lieutenants and associates remain the most immediate and serious threat... Since 1998, bin Laden has declared all US citizens legitimate targets of attack. As shown by the bombing of our embassies in Africa in 1998 and his Millennium plots last year, he is capable of planning multiple attacks with little or no warning." It is ironic that previous FAA regulations compelled strip-searching an 18-year-old Serbian high school exchange student, yet after the CIA warned about the bin Laden threat, the FAA didn't appear to even acknowledge the existence of a "watch list." Now the FAA opposes the Air Line Pilots Association (ALPA) request to allow pilots to carry guns on airplanes. The FAA entrusts the pilot with the ability to take off, fly, land, and be in command of every possible emergency on his airplane with the exception of defending his airplane and preventing it from becoming a guided missile. The ALPA position is the equivalent of a right to carry law for pilots that are trained and willing. 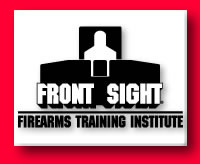 Mark Donovan, a pilot for Southwest Airlines, who has taken over ten courses at Front Sight Training Institute sums it up by saying, "Airlines have disarmed pilots to the point where a terrorist with a box cutter can take over control of a plane because no one is armed to defend the plane or themselves. Yet, numerous federal agencies are allowed to carry a gun on commercial airlines. If we, as pilots are not given the means and authority to defend our aircraft as a last means of defense, then who will? It is apparent that time was not available to negotiate with the madmen in the World Trade Center attack. Clearly, a properly trained flight crew with a handgun could have saved countless lives." The FAA appears to be following the approach of such organizations as The Brady Campaign (formerly Handgun Control, Inc.) and the Violence Policy Center. Both immediately answered ALPA's call with anti-self defense diatribes. Both suggest that arming pilots could lead to disaster. I cannot in my wildest imagination conceive of a worse outcome than that which occurred when pilots were unarmed and unprepared on September 11. The anti-gun organizations peddle the notion that pilots are not capable of being trained to safely handle firearms, even though they are capable of flying multi-million dollar airplanes and handling all emergencies. They bring up such spurious issues as putting holes in the airplanes, accidentally shooting a passenger, or having the gun taken away by a hijacker. Since we already know that it may not be desirable, but it is preferable, to crash an airline into deserted Pennsylvania woodland rather than killing thousands by crashing into a skyscraper, all those arguments are fallacious. If they were not, why would President Bush allow military planes to shoot down civilian aircraft in extraordinary circumstances? We must not let the fear of the tool deter us from using it to our advantage. Airplanes in the hands of a trained pilot are used to enhance our lives, while airplanes in terrorist hands can wreak horrific damage. So it is with guns. Guns in the hands of a trained pilot or civilian are used to save lives, while guns in the terrorist or criminal hands can take lives. Let's not ban the tools, let's use them to save and enhance life. Tanya K. Metaksa is the former executive director of the National Rifle Association's Institute for Legislative Action. She is the author of Safe, Not Sorry a self-protection manual, published in 1997. She has appeared on numerous talk and interview shows such as "Crossfire," the "Today" show, "Nightline," "This Week with David Brinkley" and the "McNeil-Lehrer Hour," among others.